Matrix42 provides a workspace management software solution, called Workspace Management, for medium and large enterprises. This solution integrates compliance functionality and user self-service into the management of all physical, virtual, and mobile workspaces. 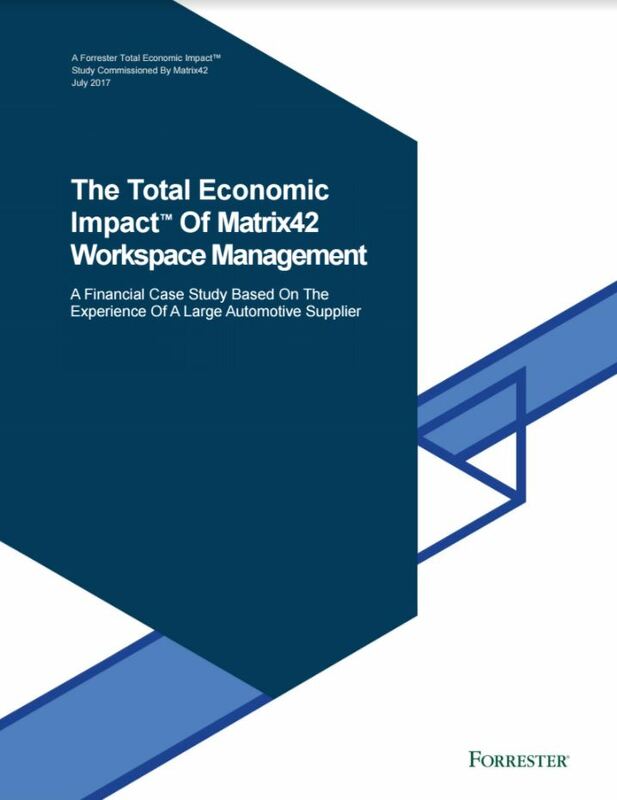 Matrix42 commissioned Forrester Consulting to conduct a Total Economic Impact (TEI) study and examine the potential return on investment (ROI) that enterprises may realize by deploying its Workspace Management solution. The purpose of this study is to provide readers with a framework to evaluate the potential financial impact of the Workspace Management solution on their organizations. IT productivity gains with a three-year, risk-adjusted present value (PV) of $4.3 million. End user productivity gains with a risk-adjusted present value of $1.8 million over three years. Maintenance cost savings with regards to legacy systems of approximately $680,000 over three years. Improved software deployment control estimated at $280,000 over three years. The interviewed organization experienced risk-adjusted costs. Download the full study to read all about. Based on the central Matrix42 platform capabilities, the corporate IT department provides services and tools to the local divisions, which can decide whether they would like to take advantage of the new tools and capabilities or if they want to keep their legacy tools and processes. When they choose to adopt new tools, most of the time they can retire legacy systems that then no longer need to be maintained.